Christen Hayde, on Tandarra Sweet As, takes part in the dressage section of the Puhinui three-day event in December 2011. The event takes place at the Puhinui Reserve on the edge of Manukau Harbour, and is one of New Zealand's major eventing competitions, attracting local and international riders. The pair, from Dunedin, were fifth after the dressage round, with 56.2 penalties. 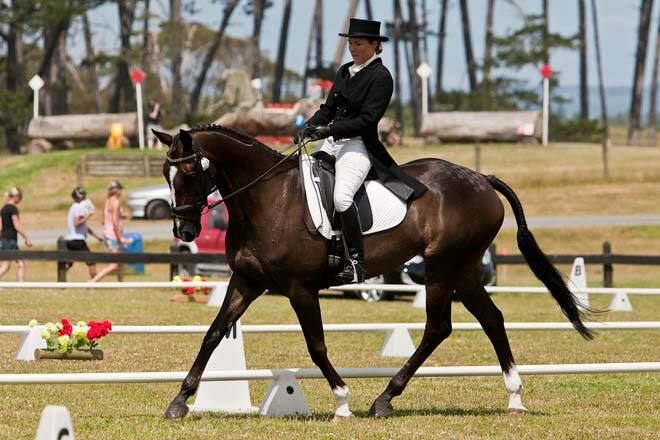 This class was the highest-ranked at Puhinui – a CCI three-star. CCI stands for Concours Complet International, a rating system for eventing. Internationally, only Badminton, Burghley, Adelaide, Kentucky, the Olympics and the World Equestrian Games are ranked as four-star.